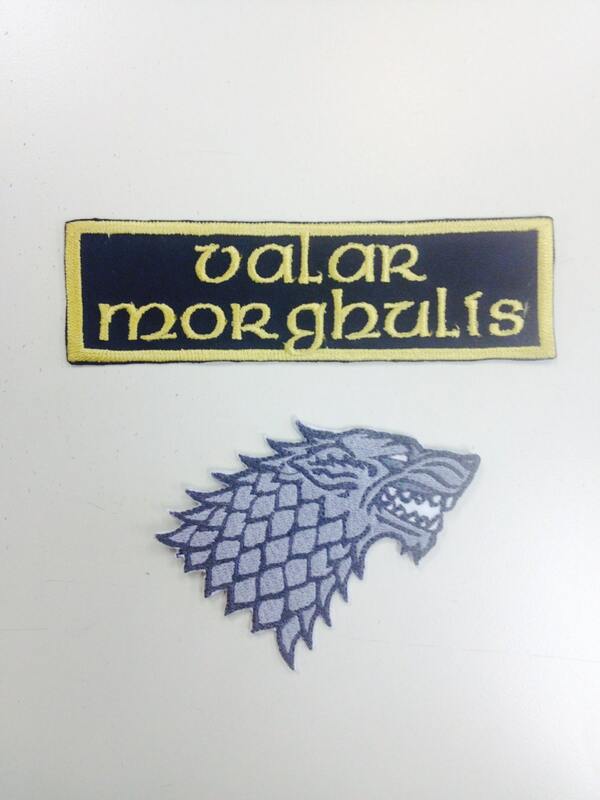 Fans of Game of Thrones will love these patches. Simply show off this fanwear by ironing it on or tacking/sewing it down to a bag, shirt, or any other type of apparel. 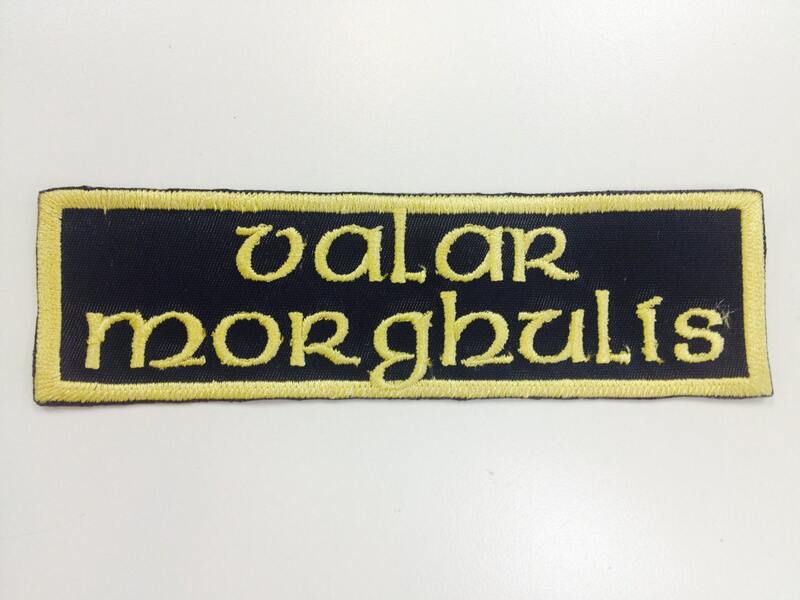 The "Valar Morghulis" patch is 5 1/2" W X 1 3/4" H. It has a black patch background with harvest gold border and with lettering. 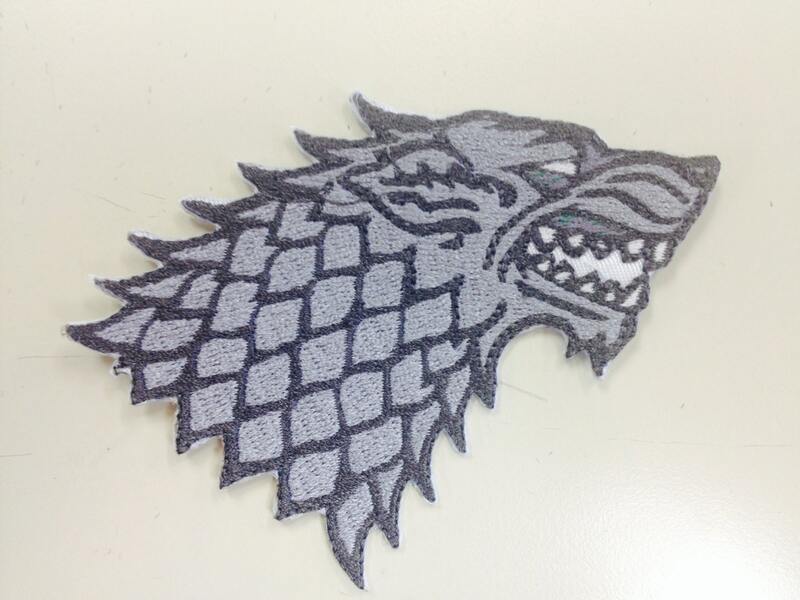 The Stark Wolf patch is 3 1/2" W X 3" H. The wolf is sewn in grey outlined by charcoal thread.